"Mile Post 104 and Beyond is Bob's first non-fiction title. This second edition has been revised and updated in light of the findings of the Truth and Reconciliation Commission. It also includes a new final chapter written by the author's grandson about the impact of a suicide within their family. It sends a message to all young people to seek help and support to deal with their mental health issues and life challenges...."
In this heartwarming memoir, retired non-Indigenous hunter, trapper and provincial conservation officer Bob Wells relives his early years learning about nature, hunting, fishing and life from his Anishinabek neighbours. Bob spent his youth at his parents' fishing lodge. At the age of eleven he successfully hunted an eleven-point buck. As instructed, by his dear friend Moochum Joe, he Honoured the deer with a traditional tobacco offering. Moochum presented 'Bobby' his first Honour Feather for the achievement and for community sharing. He pursued hunting and fishing until just last year at the tender age of 80. 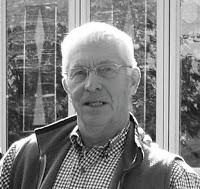 Through the staff who worked at the lodge, and throughout Bob's life, he saw first-hand how his Indigenous friends were treated differently by the church, schools, government and society at large. His father protected his Indigenous friends from the travelling priest who was charged with ensuring all Indigenous children were taken from their families and sent to Indian Residential Schools. Moochum Joe told Bob to, when old, "draw words on paper to tell his kind about the mistreatment of 'Indians.'" Over six decades later, Wawahte was published and is one of only two books on the Assembly of First Nations' online "It's Our Time" curriculum package. The book and a professional film documentary tell the stories of three Elders and their experience of residential schools. 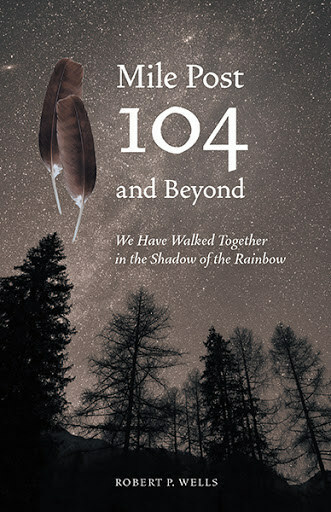 The book was endorsed by Chief Dr. Robert Joseph, Ambassador, Reconciliation Canada who travelled to Kingston to speak at the Documentary's launch. Mile Post 104 and Beyond is Bob's first non-fiction title. This second edition has been revised and updated in light of the findings of the Truth and Reconciliation Commission. It also includes a new final chapter written by the author's grandson about the impact of a suicide within their family. It sends a message to all young people to seek help and support to deal with their mental health issues and life challenges. Bob Wells was recently awarded the Sovereign's Medal for Volunteers by the Mayor of Kingston on behalf of the Governor General. The medal – one of Canada's highest civilian awards – honours a lifetime of civic involvement and dedication to the advancement of Canadian society. Mile Post 104 and Beyond is a special part of that legacy. For more information, visit wawahte.com.